The short-term ‘sell signal’ was quickly reversed with the breakout of the consolidation range. 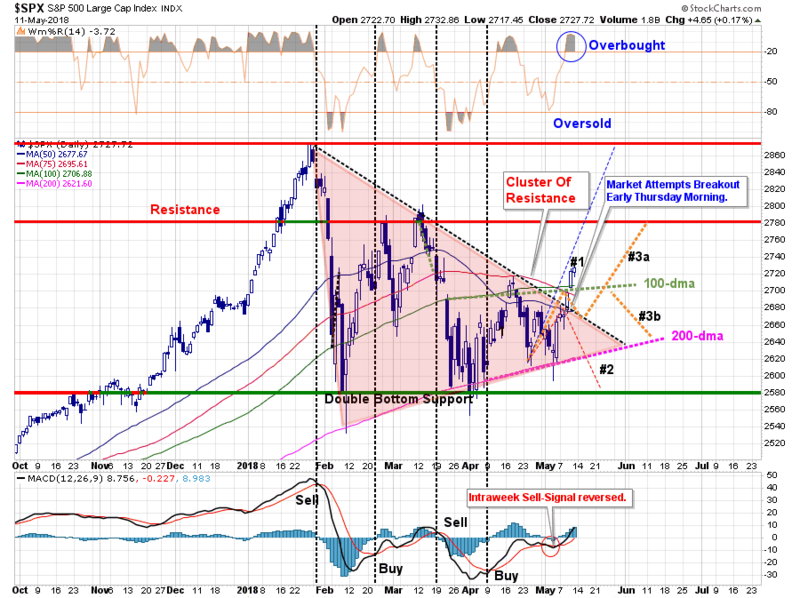 The break above the cluster of resistance (75 and 100-dma and closing high downtrend line) clears the way for an advance back to initial resistance at 2780. On an intermediate-term basis the “price compression” gives the market enough energy for a further advance. 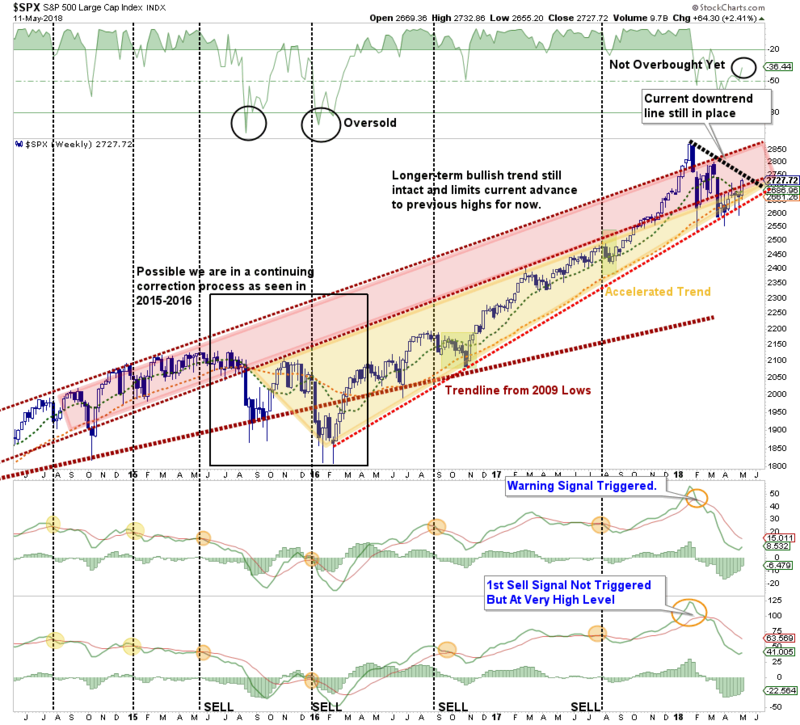 With the market back to very short-term “overbought” territory, a bit of a pause is likely in order. We currently suspect, with complacency and bullish optimism quickly returning, a further short-term advance towards 2780 is likely. Again, these are just “guesses” out of a multitude of potential variations in the future. The reality is that no one knows for sure where the market is heading next. These “pathways” are simply an “educated guess” upon which we can begin to make some portfolio management decisions related to allocations, risk controls, cash levels and positioning. Global growth is showing signs of stalling. Rising interest rates are beginning to challenge the valuation story. In 2015-2016 we saw a similar rally off of support lows which failed and ultimately set new lows before central banks global sprung into action to inject liquidity. As I have stated previously, had it not been for those globally coordinated interventions, it is quite likely the market, and the economy, would have experienced a much deeper corrective process. While the markets have indeed gone through a correction over the last couple of months there is no evidence as of yet that central banks are on the verge of ramping up liquidity. Furthermore, the “synchronized global economic growth” cycle has begun to show “globally synchronized weakness.” This is particularly the case in the U.S. as the boost from the slate of natural disasters last year is fading. More importantly, on a longer-term basis, the recent corrective process is the same as what has been witnessed during previous market topping processes. In each previous case, the market experienced a parabolic advance to the initial peak. A correction ensued which was dismissed by the mainstream media, and investors alike, as just a “pause that refreshes.” They were seemingly proved correct as the markets rebounded shortly thereafter and even set all-time highs. Investors, complacent in the belief that “this time was different” (1999 – new paradigm, 2007 – Goldilocks economy), continued to hold out hopes the bull market was set to continue. 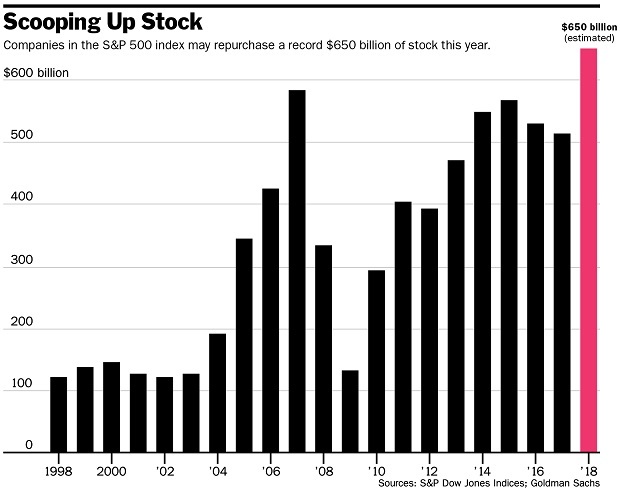 But as noted by Societe’ General (via Zerohedge) those buybacks may boost stock prices temporarily but are not likely to show up in the economy longer-term. 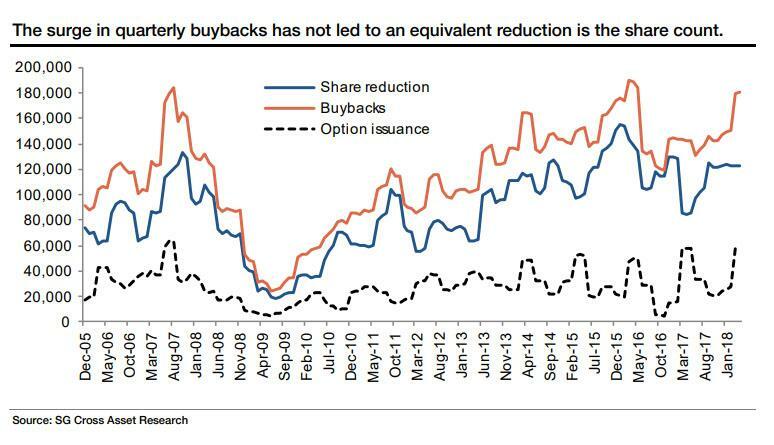 “We recognize that calculating the stock option effect is an educated guess as we look at the amount repurchased versus the actual reduction in the share count and assume the difference is the option issuance effect (though issuance can be for other reasons). Such is a critical point considering that ultimately revenues are driven by economic growth of which 70% is derived from consumption. 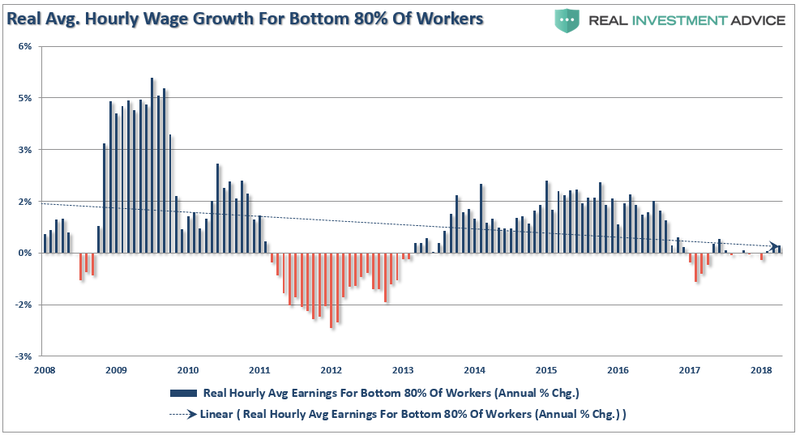 Boosting wages for the top 20% of wage earners, is not likely to lead to stronger rates of economic growth. With year-over-year earnings comparisons set to fall beginning in the third quarter of this year, another support of the bull market thesis is being removed. The biggest challenge of portfolio management is weaving short-term price dynamics (which is solely market psychology) into a long-term fundamentally and economically driven investment thesis. Yes, with the breakout of the consolidation process last week, we did indeed add exposure to our portfolios as our investment discipline dictates. But such does not mean that we have dismissed our assessment of the risks that currently prevail. 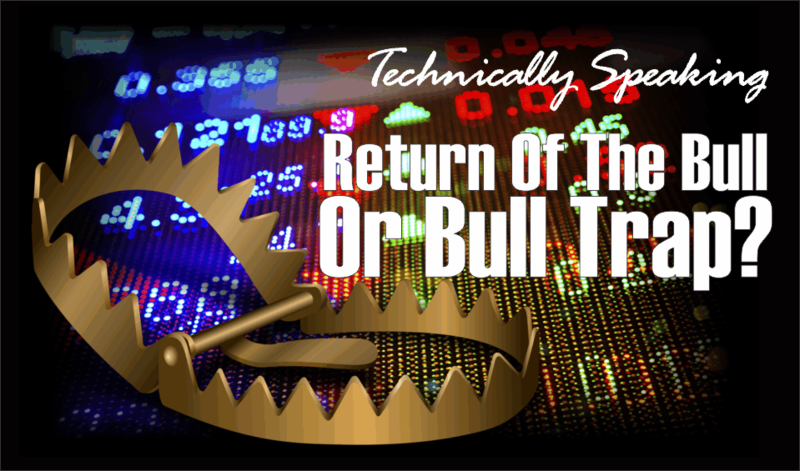 There is a rising possibility the current rally is a “bull trap” rather than the start of a “new leg” in this aging bull market. This is why we still maintain slightly higher levels of cash holdings in our accounts, remain focused on quality and liquidity, and keep very tight risk controls in place. 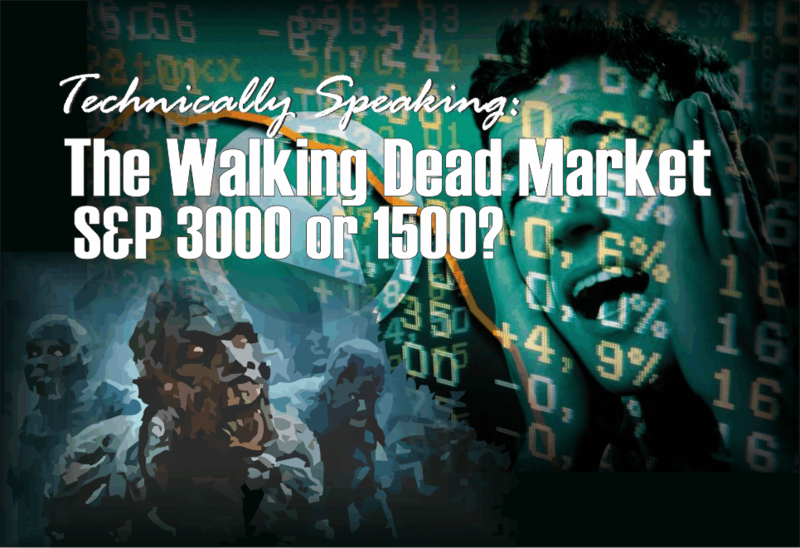 Technically Speaking: How Far Can Stocks Fall?